Buying property is one of the biggest decision of a lifetime. However, growing property price, lack of money, refusal of home loan, the title of the property are few challenges that come across when you decide to purchase your dream home. In order to reduce the challenges and to help you in house hunting process here is 10 point checklist before buying property. This checklist will surely help you in saving time, money and energy. The first step towards buying property is deciding your budget. Along with the budget, you need to decide property type. Once you are through with that decide that you will need a home loan or not. Mostly bank or home financing companies will finance up to 85% cost of the property. The balance money you need to arrange on your own. The second thing you need to check is a ratio of black money and white money. Although it is illegal to deal in black money. However, in a majority of state dealing black money while buying a property is quite common. You need to prepare yourself for dealing black money. Also Read – How RERA website helps you for home buying? The third thing you need to check is your CIBIL score. Your CIBIL credit score decides your chance of getting a home loan. You can get your free credit score online on CIBIL site. Higher the credit score means better the chance of getting a home loan. It is advisable to take approval of home loan in advance. A pre-approved home loan will help you in deciding your budget. It will also give an idea about EMI payable for the loan amount. You can also save time and last minute hassle of applying for home loan. You should also ensure that what type of tax benefits are expected in case you opt for a home loan. There is a tax exemption of Rs.2 Lakh under section 24 for interest on home loan. You will also get tax exemption up to Rs.1.5 Lakh under section 80 C for principal repayment. Make sure to structure your EMI in such a way that you are able to make the best of these provisions. It seems to be very basic, however, a bit of focus on this can surely help you in the future. You should ensure that basic requirements like grocery, vegetable, and household are in the close vicinity of the property. It is advisable to select property nearby bus stop or railway station, it will help you to save money on transportation. Also check basic amenities like water supply, sewerage, electricity etc. When you buy property, you should also evaluate property from the investment perspective. Two things you need to consider a rental value of property in the area and resale potential and value of the property. This will help you when you decide to move away from the property. Before entering into buying agreement of property you should know the actual cost of the property. You should sum it up extra cost which you incurred on the property. This includes registration cost about 1% of property value, stamp duty cost, estate agent fees, advocate fees and any other additional charges imposed by the builder. This is the most important point. You must ensure that the title deeds of the property are clear. You can verify these documents with the help of advocate or sub-registrar office. You must ensure that there is no pending legal case, property dispute or lien on the property. In addition to this also check plan clearance certificate/approval of construction from municipality. Once you make initial payment make sure to take “Agreement of Sale” from seller/builder. You should take possession of the property as soon as sale deed is executed and registered. You should demand Occupancy certificate and share certificate (allotment letter). Before buying property you should also consider future cost of property which includes monthly maintenance cost and municipality tax. 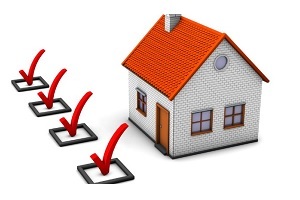 I hope above checklist will help you when you decide to buy your property. In addition to above make sure to compare properties and estate agent before taking any buying decision. Make sure to compare and negotiate with the bank to get best home loan offer. If you like this post, do share with your friends on facebook and twitter.